At the tine, we were still within the window when rumors are just as likely to be complete fabrications as legitimate. That was why I remained skeptical, even when a leak of a supposed CAD rendering of the coming iPad Pro hit just a two days later. That one had better odds of legitimacy, since it came from noted leaker Steve Hemmerstoffer via his @OnLeaks Twitter account. These two reports were followed with relative silence for three weeks. Mark Gurman and Rene Ritchie, both of whom are regarded for having solid connections and sources at Apple, both expressed skepticism in the supposed limitation of Face ID and that Apple would move the Smart Connector to such an odd location. However, neither outright denied these rumors, either. Today, things got more interesting. 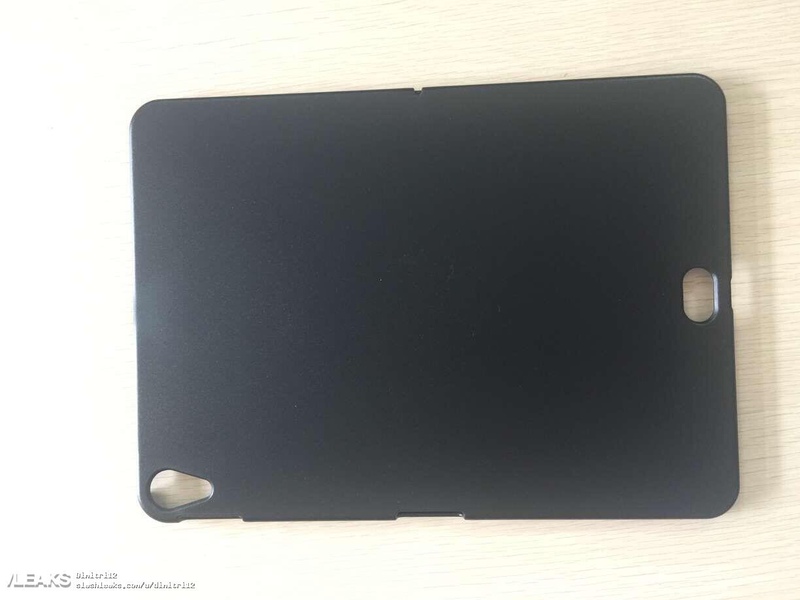 We have a brand new leak from Slashgear showing a picture of a case prototype for the new iPad Pro design, and it has a cutout for this mystery addition to the back of the iPad. While I was dismissive of the reports from a month ago, I feel very differently about this one. Why? There are a couple of reasons. First off, we are now inside the window when the rumors start to coalesce around the truth of new Apple hardware. When you see design hints start to repeat closer to a hardware release, there is likely something to the rumors and reports. So, while it was easy to dismiss back to back reports with no further corroboration a month ago, it isn’t so easy to blow off another one a month from launch. The second reason is even more telling for me. It is a well-known fact that case manufacturers pay top dollar for advance information on Apple hardware designs. This is so they can be ready at launch with new wares pre-made and ready to sell on day one. There is a lot of money to made for those who are ready to sell to early adopters, so seeing a picture of a prototype case with a cutout that matches the previously leaked CAD image is telling. Someone paid well for the intel that lead to this case’s design. That isn’t a guarantee that the design is accurate, but it lets us know that someone felt strongly enough about it to put money on it. Here is where things get interesting. Maybe this new cutout has absolutely nothing to do with the Smart Connector. While it is on the opposite side from the current design, this case (pictured at the top of the page) also has another cutout visible on the edge of one side. 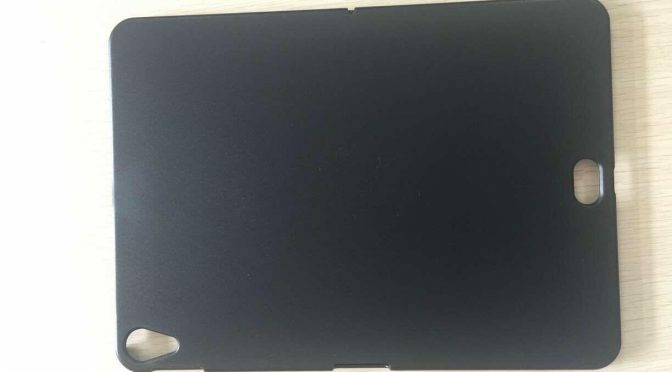 It looks far more like what you would expect the Smart Connector be shaped like, so I have a feeling that this new interface on the back of the new iPad will be something entirely different. 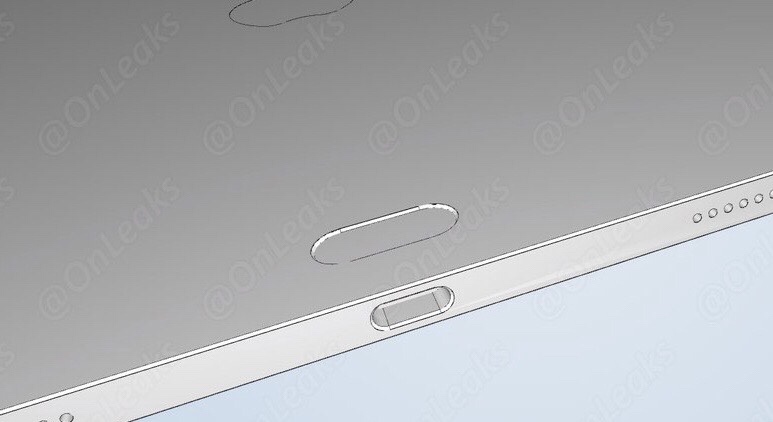 Two opinions I’ve seen floated so far are a TouchID sensor so the device can retain fingerprint recognition, or a small wireless charging pad. However, I have my doubts about both of these theories. The shape of the opening doesn’t lend itself to a fingerprint reader, and it is awfully small for a wireless charging interface. My personal opinion is that if this design is legit, then this port something new that no one is expecting. Whatever happens, things are definitely starting to pick up. Expect to see more rumors and leaks in the coming weeks. After today, I have a feeling this new port or connector will feature heavily in them.